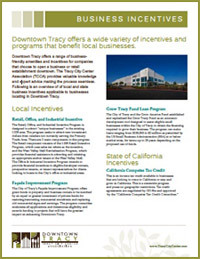 The Tracy City Center Association (TCCA) is the driving force behind the continuing revitalization of the Downtown area. TCCA, a 501(c) (3) Community Benefit District, advocates on behalf of its district stakeholders (property owners, merchants, local government) and the Tracy community at large, through its focus and support of economic development, events, public safety, and beautification. 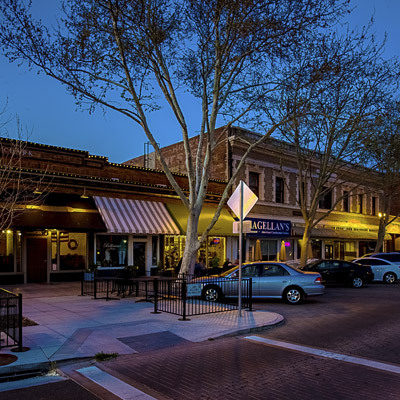 TCCA is committed & cognizant of its role to foster a vibrant, thriving downtown that preserves and emphasizes Tracy’s unique local history. Strong support and collaboration with the City of Tracy and Tracy Chamber of Commerce provides TCCA with the strong foundation and conduit needed to meet its objectives. 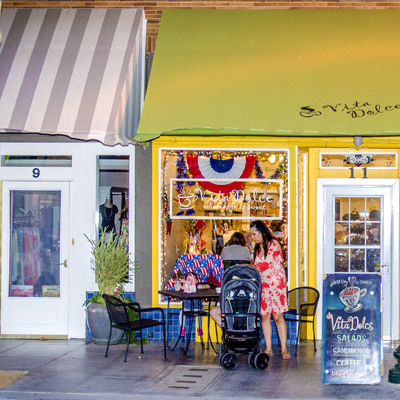 Downtown Tracy offers a range of business friendly amenities and incentives for companies that choose to open a business or retail establishment downtown. Tracy City Council and City management are results oriented, productive, responsive, and 100% committed to the development and success of Downtown Tracy. A thoughtful and strategic Downtown Specific Plan will help guide the look, feel, and future development of the City’s historic core. 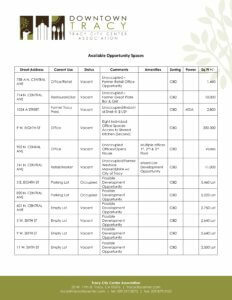 Long-term vision, knowledge, experience, and support of the Tracy City Center Association members provides the strong foundation & framework of a public-private partnership unrivaled in most cities.